MAKE FACEBOOK YOUR FRIEND: SIX WAYS TO MAKE FACEBOOK WORK FOR YOU AS A WRITER, WITHOUT MORTGAGING YOUR HOME. This workshop outlines clear, practical, accountable marketing activities for writers of popular fiction. It’s not airy fairy theory, nor is it snake oil ‘sell more books tomorrow and be rich the day after’ nonsense. Sadly, building a marketing platform takes time and effort, but it doesn’t have to be a burden if you know how to do it the right way. So this OWL will do two things: help people to stop wasting their time puddling around being busy but not achieving much and relieve them of the burden of ‘doing marketing’. Many of the writers I coach say they started off being angry about having to do their own marketing and that once they learned what to do and how they then stopped being angry and got empowered, and that was the most exciting thing about the process of learning how to promote to sell more books. And that’s why I love doing what I do! Why a business page is critical to have and why you’re an idiot if you’re running your author page off a personal profile! How to advertise on Facebook, including why you would advertise, how much it can cost, how to track your results and how to spend a fortune on Facebook advertising and get little or not result. This includes careful targeting, including using custom audiences, which is a major Facebook feature that helps deliver great value for money. Week 3: How to advertise without needing a second mortgage using promote post , the simplest ad option on Facebook which has had significant improvements made in recent months, as well as ad manager. Week 4: Forum for questions (using gotomeeting). The core content is delivered by PDF, but the Facebook group is highly interactive. It is there to provide support and there is the live forum via gotomeeting at the end for questions. I will be in the Facebook group for some time every day for the duration. The week 4 forum is anticipated to be around 2 hours. Sara Hood has spent the last 30 years working in London and Melbourne providing marketing and marketing communications for international brands and local creative industries. For the last 10 years she’s had her own business providing marketing and membership services to industry associations and professional bodies in the wider music industry. For one of those associations, she runs Record Store Day Australia, which brings thousands of people into their local music store on the third Saturday in April each year for lots of music and fun. A key driver in the success of Record Store Day Australia has been the use of social media, in particular Facebook. 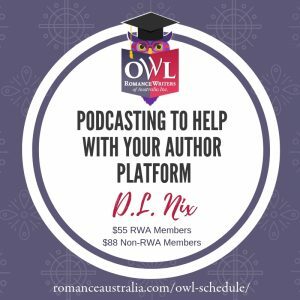 She also runs marketing4writers.net, providing marketing coaching to writers of popular fiction to help them sell more books. 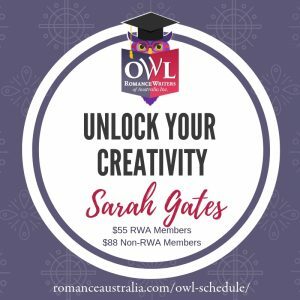 Sara has been a member of RWA for seven years though is still thoroughly unpublished.